When I got my first Volkswagen Beetle I was still a teenager. I had wanted one for a long time and had somehow always felt a connection to the old VWs right from the start. 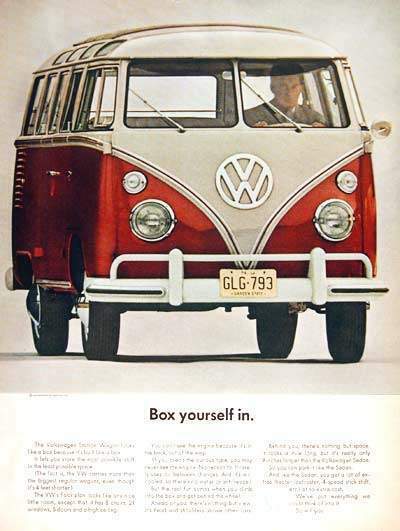 I just love the look and feel of the air cooled Volkswagens, especially the 21 window bus and the older Beetles. My first car was not a VW. In fact I went through several “water buffaloes” before getting myself an air cooled bug. At one time I was driving an 8 cylinder Dodge Ram. That old truck, as best as I could figure, got around ten miles to the gallon. One day I was driving that truck up into a ‘holler’ in southeastern Kentucky and I saw a green VW with a “For Sale” sign. I stopped to talk with the guy and to look at the car. I started putting this website about 4 years ago but I haven’t owned an air cooled Volkswagen in more than 15 years. That is until this year. I just bought a 1967 VW Bug. It is a a “fixer-upper” that needs a lot of love and attention (and some cash money of course). Right off the bat I can see that I will need 4 new tires, a muffler, a battery, a rear window, and some seats. But it does have a brand new top and maybe even the original bumpers. Most likely have to replace the entire brake system and a lot of wiring too. I have already bought myself a copy of the “How to Keep Your Volkswagen Alive” by John Muir. Next I am looking to get the Bentley manual. To me those are the required materials from the start. The How to Keep Your Volkswagen Alive is a great read even if you dont have one! I love the illustrations and the way John describes the procedures.